I couldn’t imagine my life without THRIVE! It makes cooking so much easier. I don’t have to plan my meals in advance because my home store is always has what I need in stock! 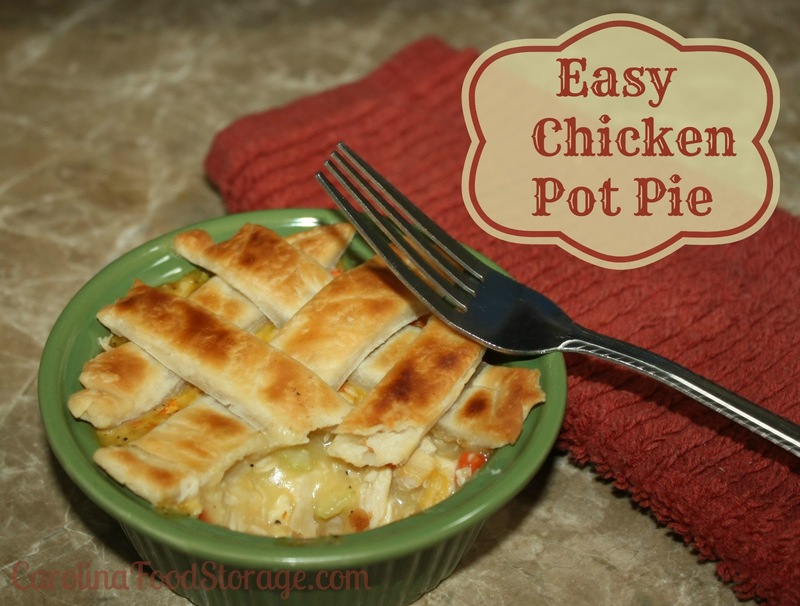 Here is another simple recipe for a quick and tasty dinner. I love cooking in mini dishes. It allows you to cook for one just as easily as cooking for ten. It also gives you the ability to customize each person’s meal. Preheat oven to 325. In a small pot bring 1 cup of water to a boil with the first 4 ingredients. Cook on low for 5 minutes. Remove from heat and drain excess water then mix with cream of chicken soup. Pour mix into a 6-8oz ramekin. 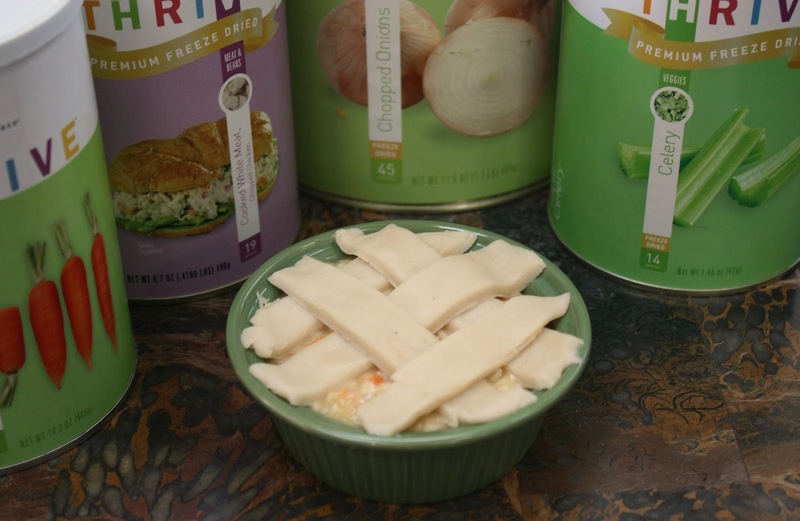 For topping roll out a small section of pie crust and cut into 1/4″ strips and criss-cross the dish. Bake for 20-25 minutes or until golden brown.